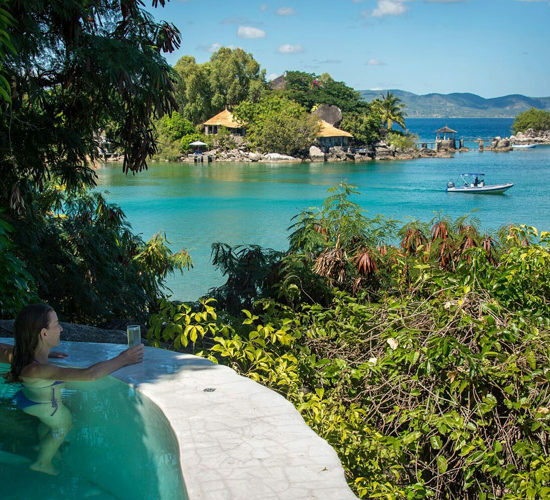 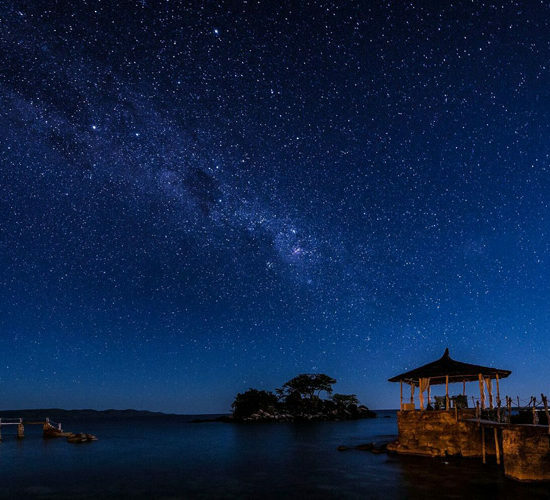 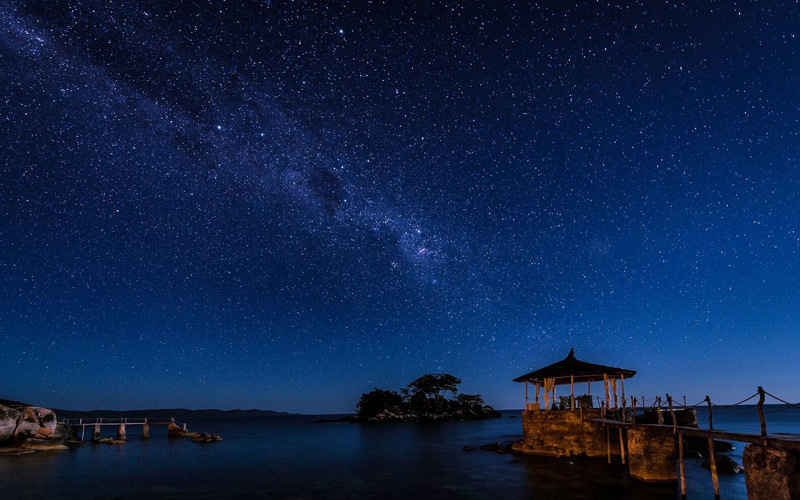 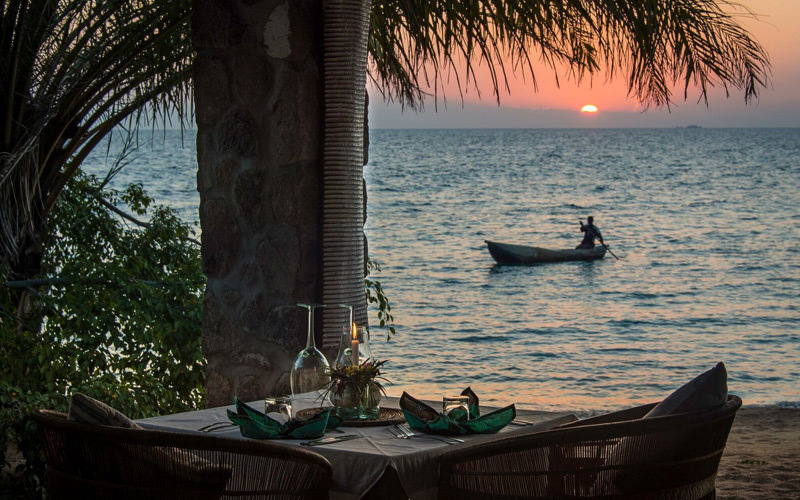 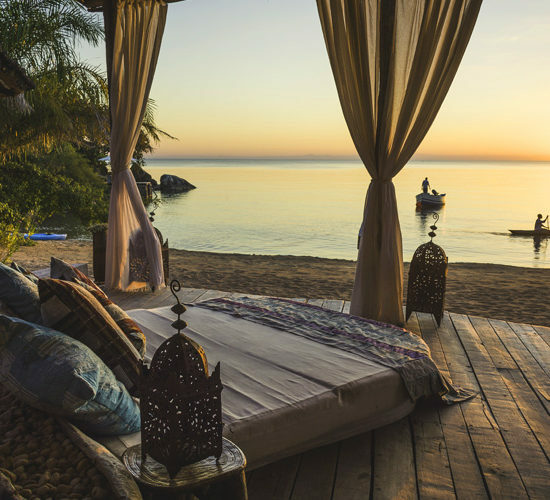 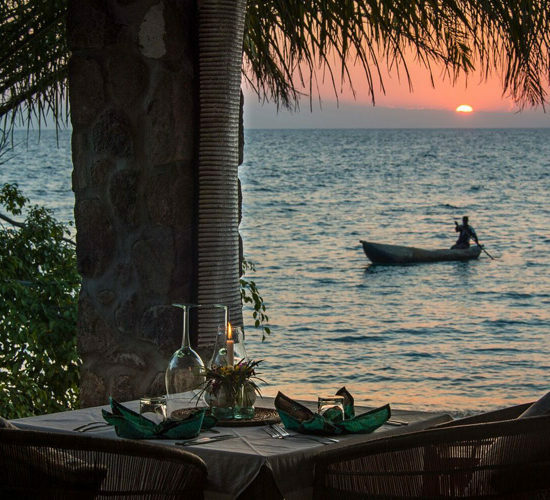 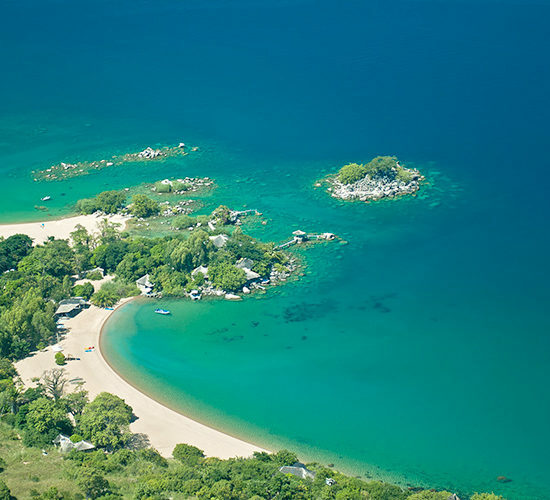 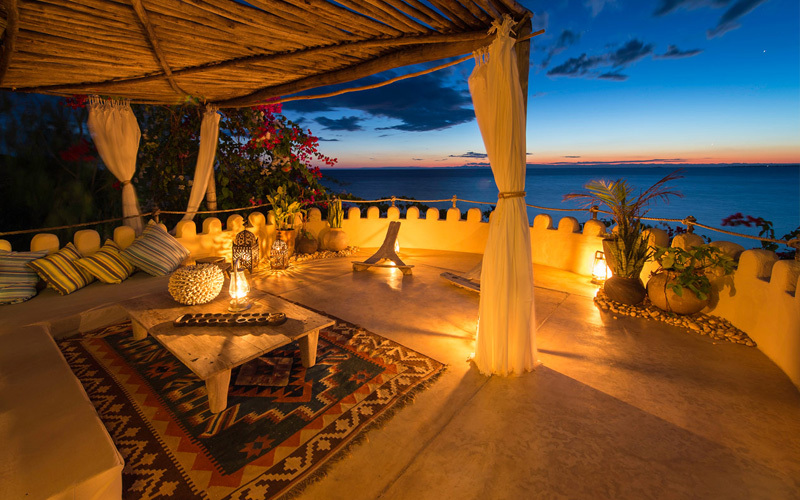 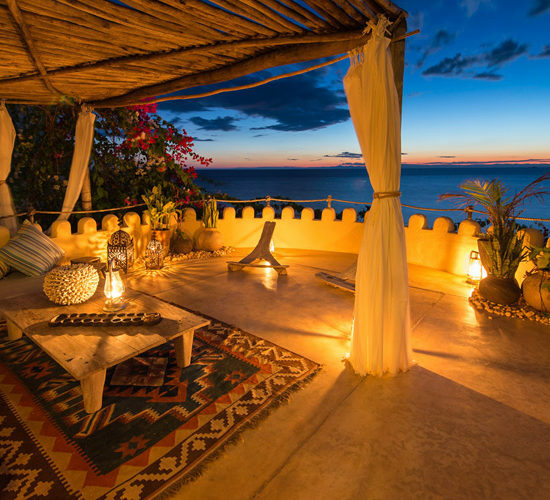 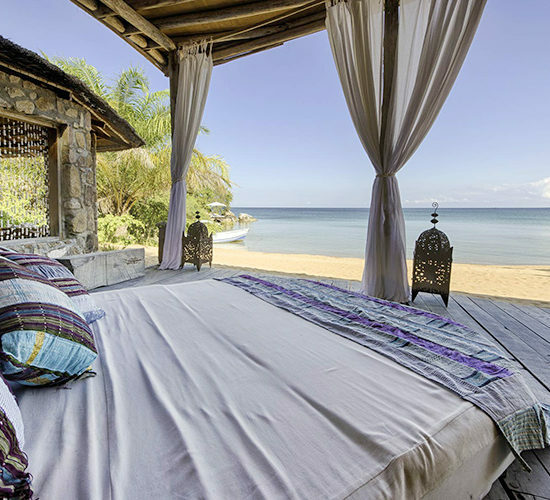 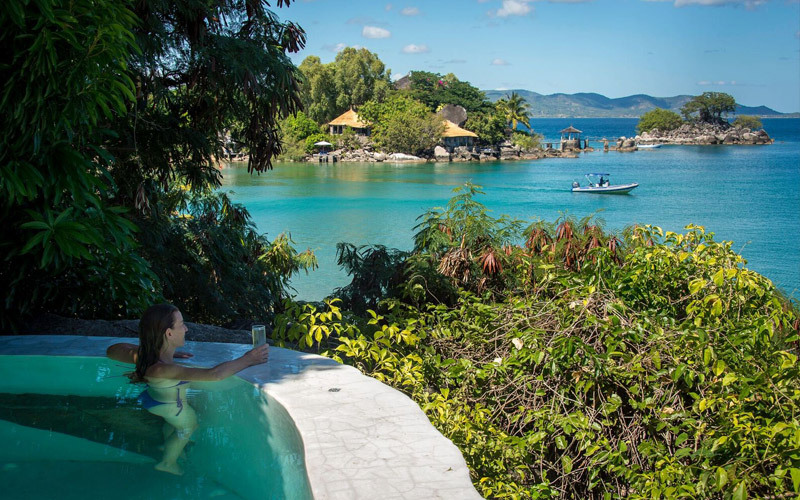 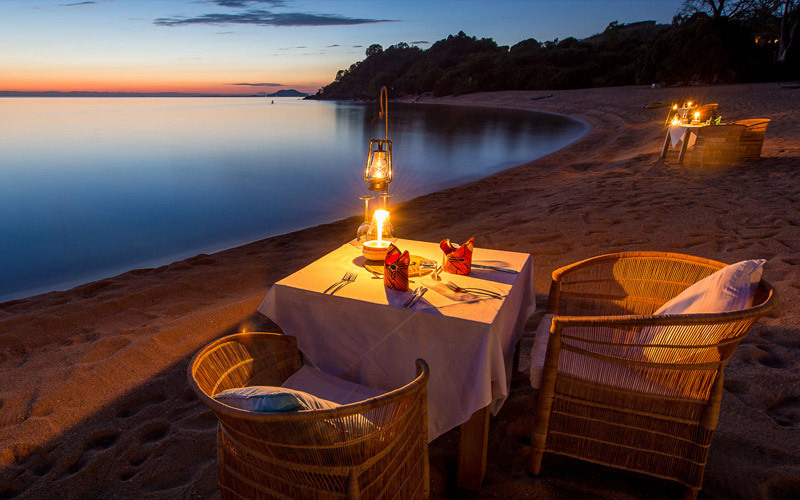 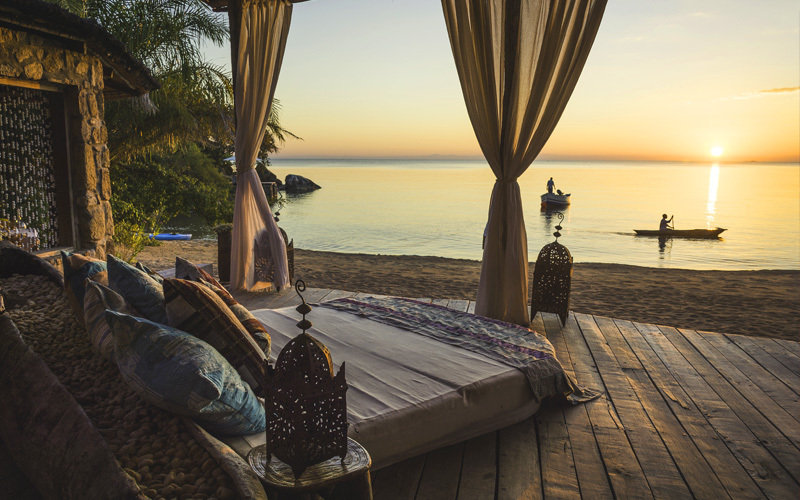 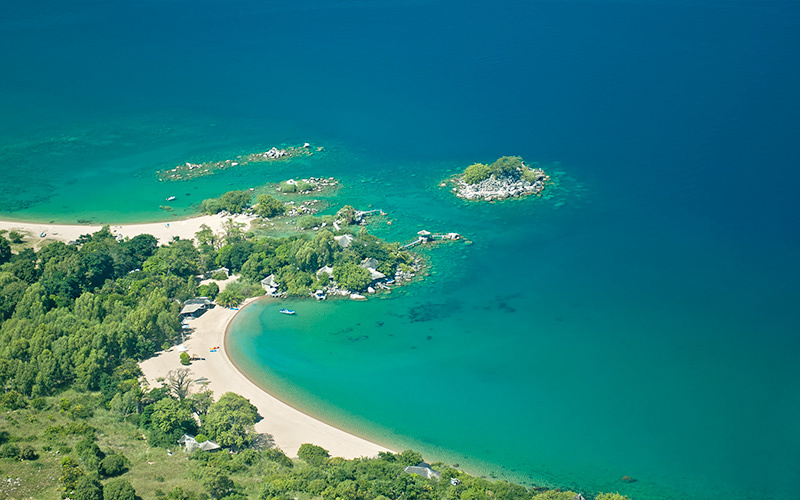 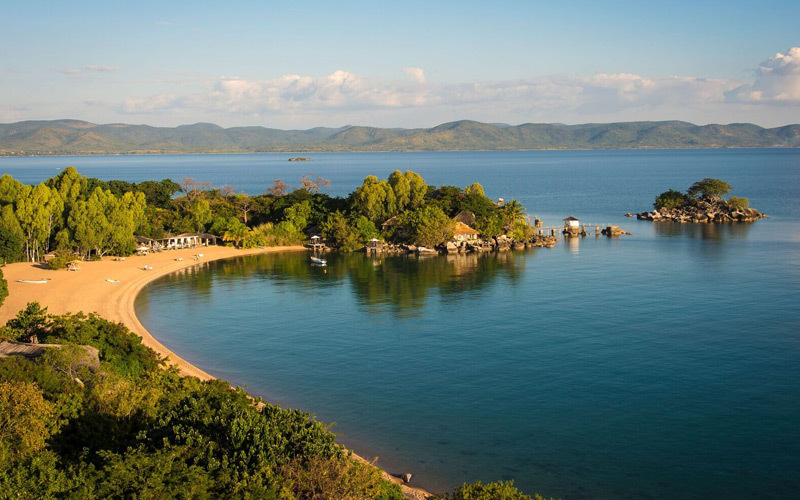 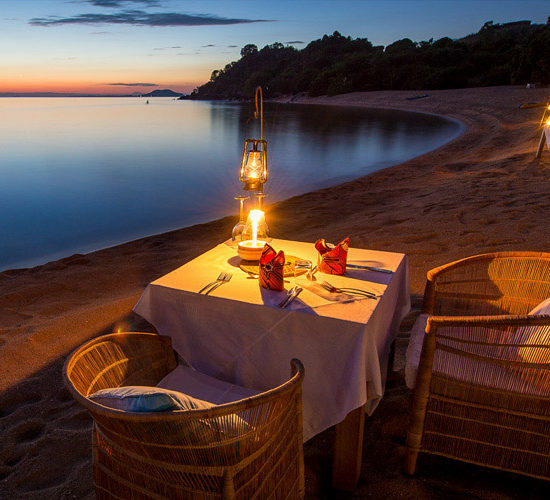 Green Safaris Kaya Mawa is located on Likoma Island, half way up Lake Malawi close to the Mozambique mainland, & is covered with mango trees & ancient baobabs, encircled by glorious sandy beaches & rocky coves. 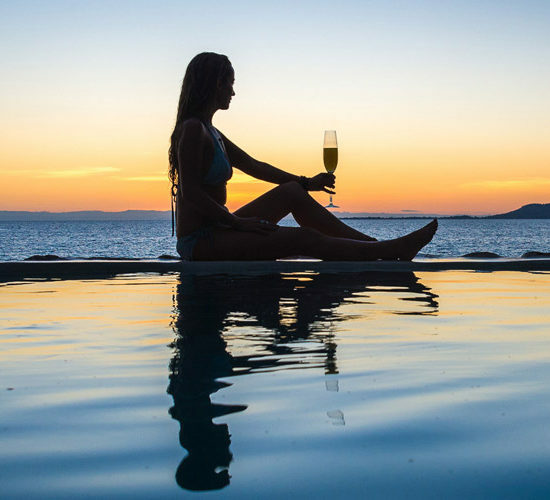 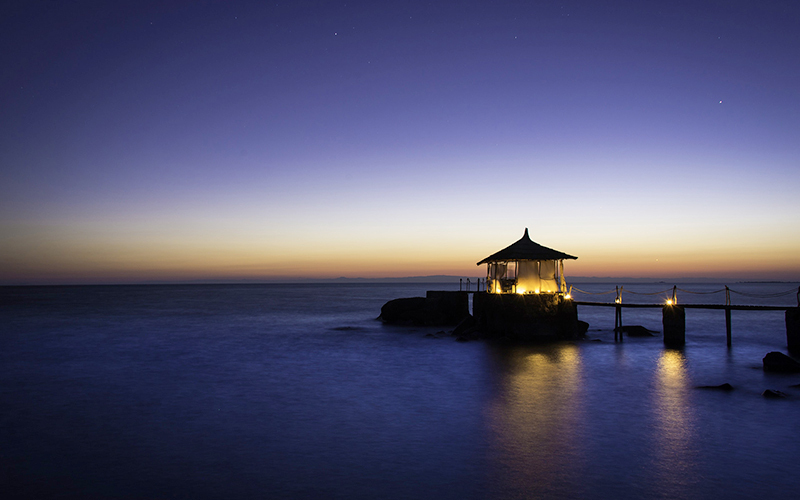 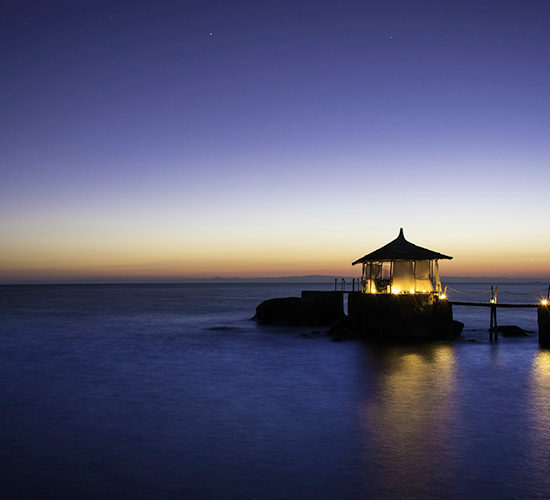 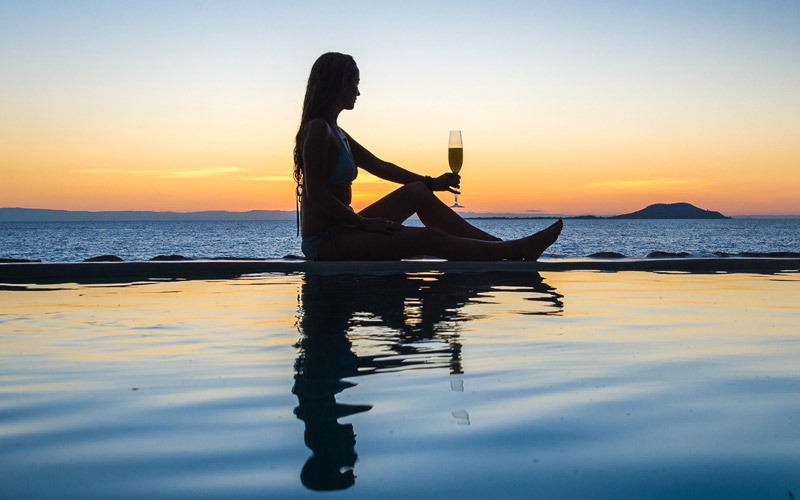 It has been rated by Condé Nast Magazine as one of the planet’s ten most romantic destinations in the world & offers the most perfect of island escapes. 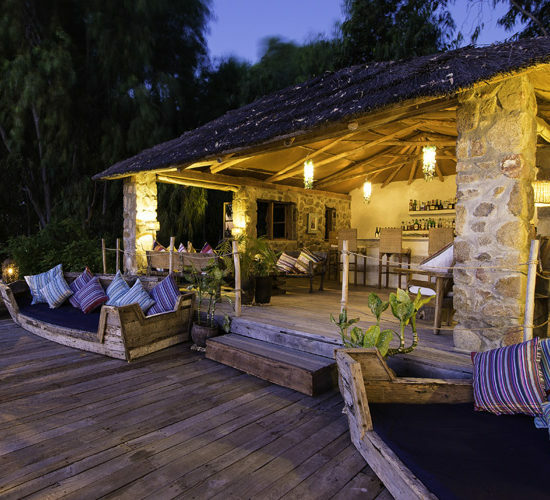 Translated as “Maybe Tomorrow”, the lodge uses the stunning natural surroundings to create an idyllic island lodge of unique character & imagination with a very special ambiance. 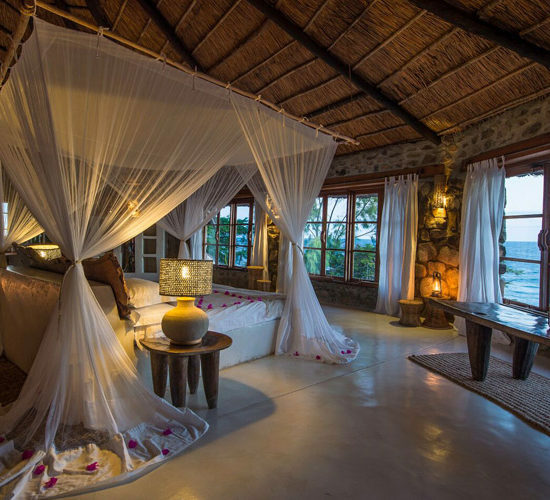 11 Stone & teak-framed thatched rooms are spread out around two beaches & a rocky knoll, all offering spectacular views over the lake with understated simple yet elegantly designed rooms. 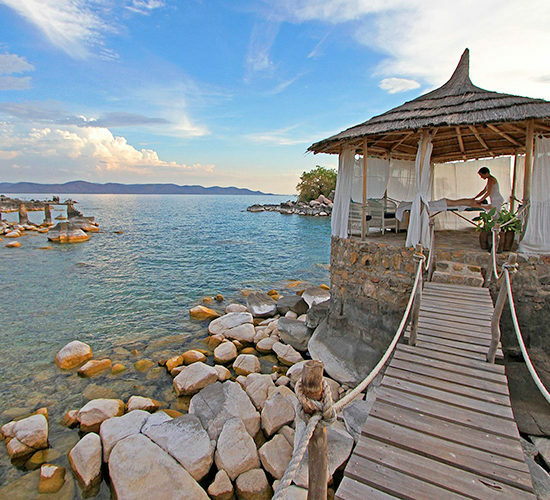 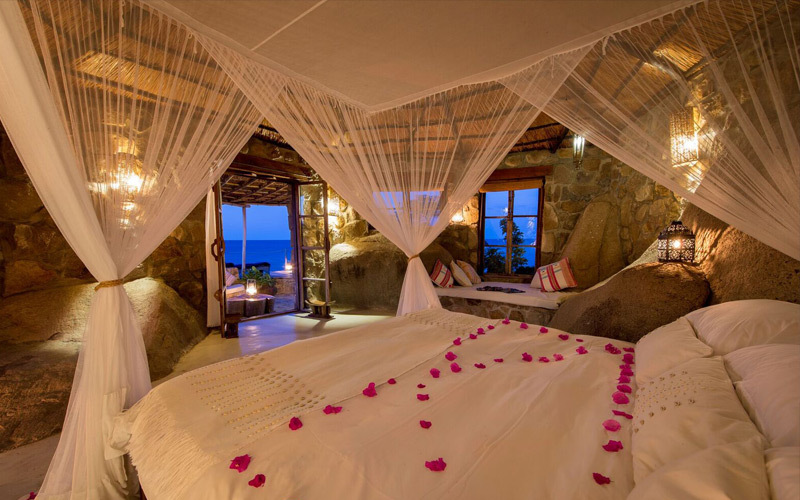 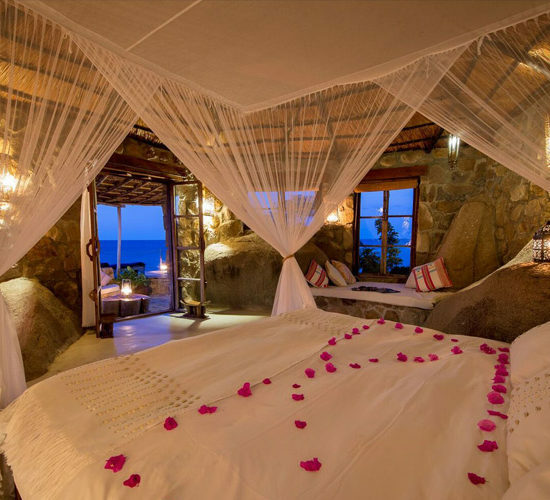 Rooms enjoy ensuite bathrooms, private terraces & direct access to the waters of Lake Malawi or private plunge pools. 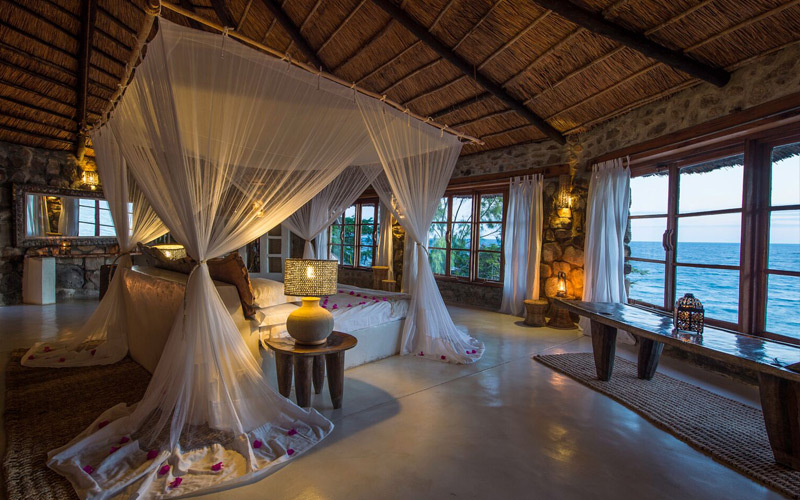 Families will also find a special place here, with fantastic facilities for activities & various family room options. 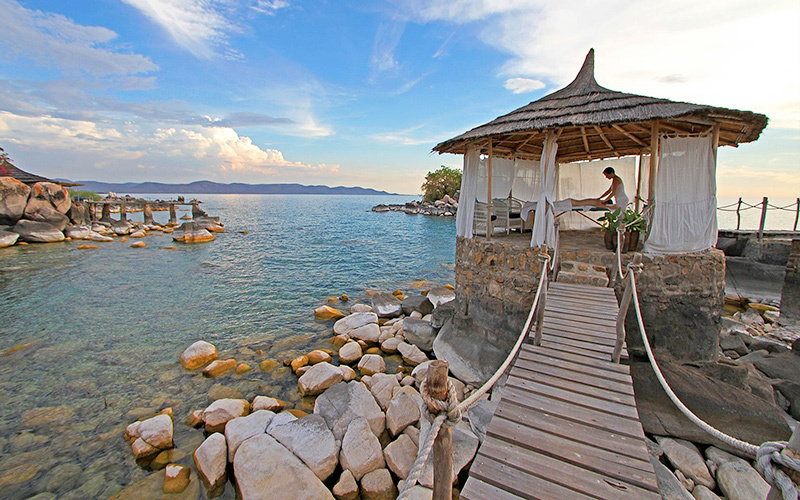 Ndomo House, with its unique design & privacy in its own idyllic bay is the ultimate in exclusivity for families. 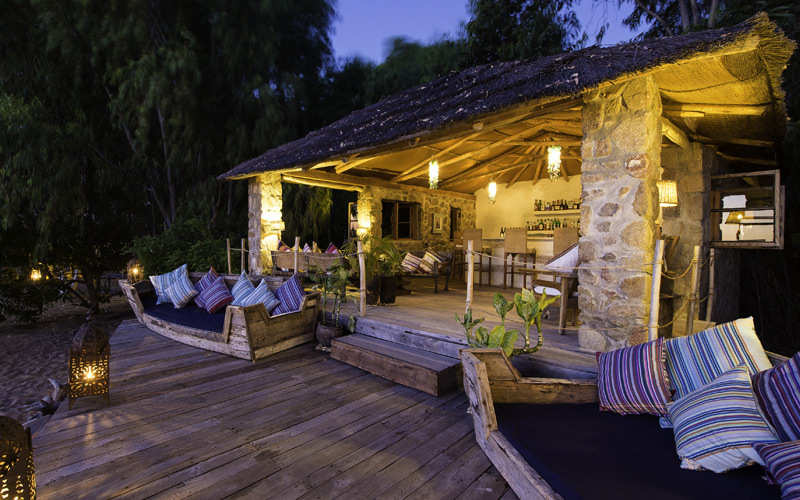 Located approximately 1 km away from the main lodge. 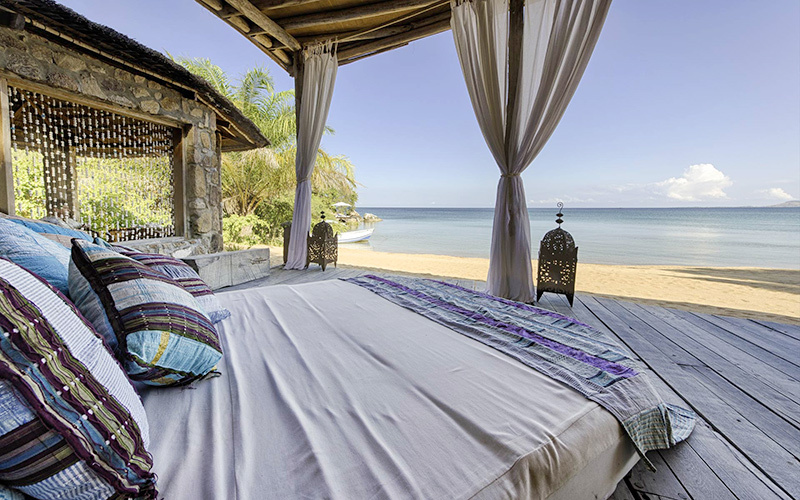 Four bedrooms, three en-suites, sitting room, family kitchen, five terraces, study, pool, private beach, & full use of Kaya Mawa facilities round of this incredible property. 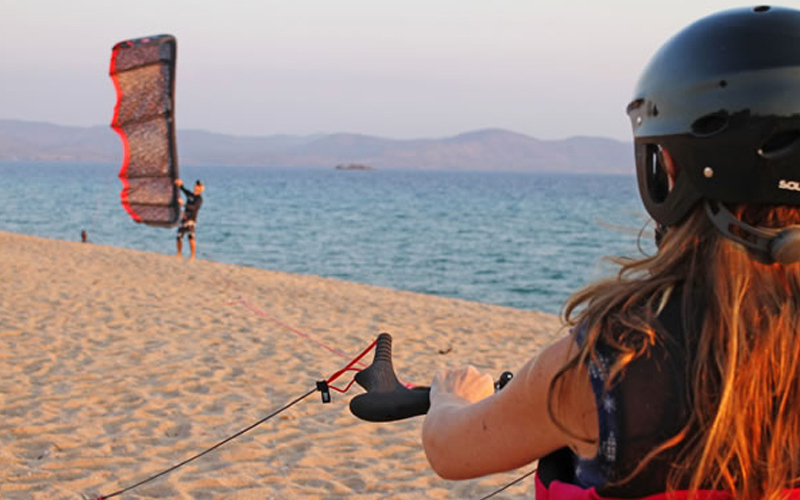 Activities don’t just revolve around the lake. 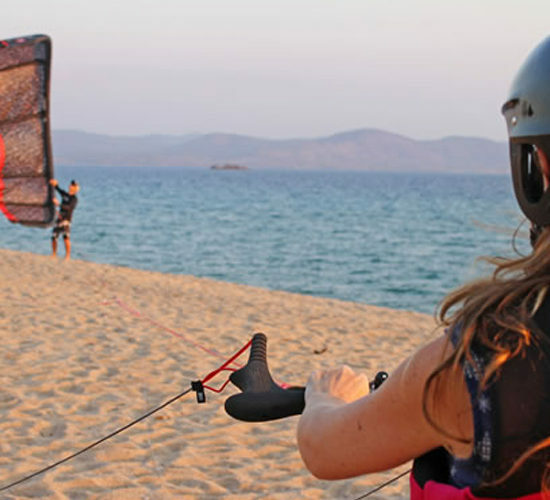 Walking or biking around the island is a must & the local population is legendary for its friendliness. 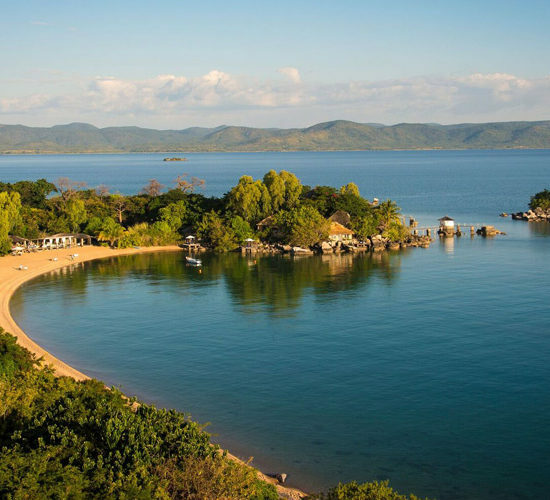 En route you can visit the cathedral, a local school & the lively market nearby. 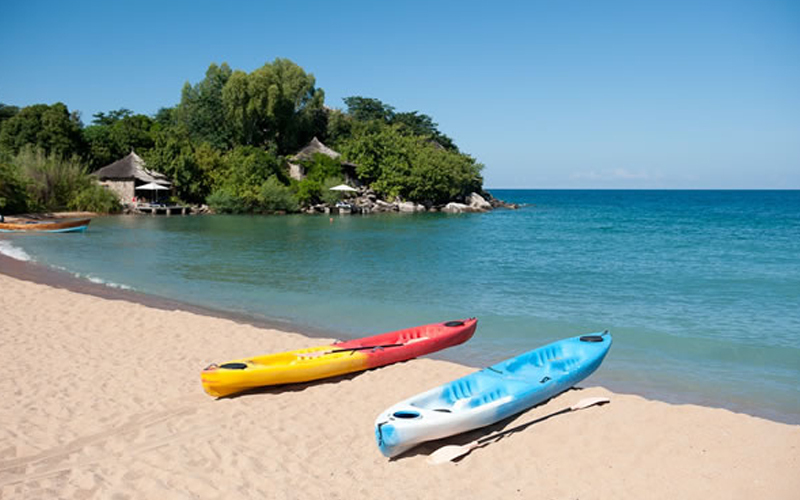 Kaya Mawa is a PADI accredited dive centre, with in house PADI instructor, a qualified sailing & waterski instructor. 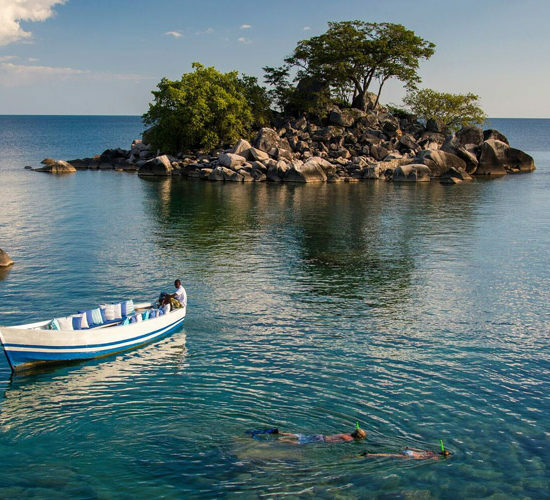 With some of the best fresh water diving in the world & some 11 recognised dive sites nearby it really is a divers paradise. 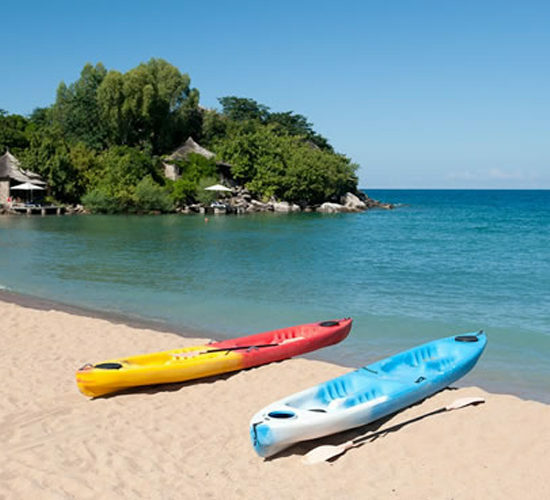 Kayaking, windsurfing & sailing are also a superb way to get out on the lake. 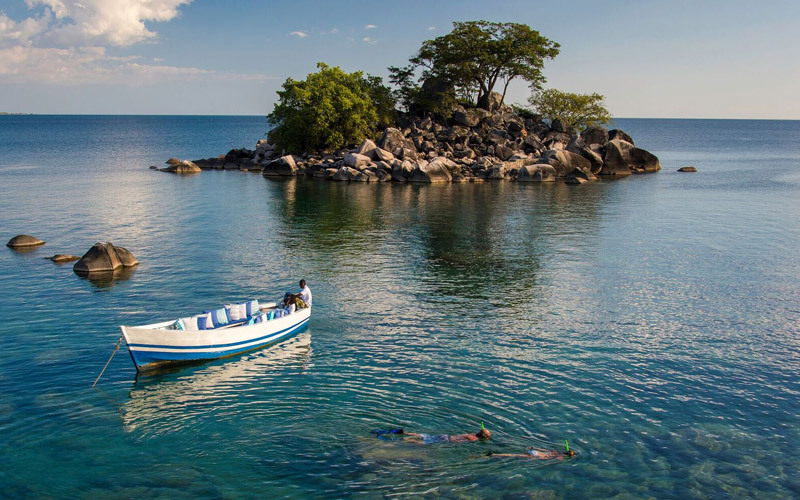 The waters around the lodge are both safe & clear (free of hippos) & swimming & snorkeling are on offer – with over 1500 species of fish to be discovered.